Complete Blogger Education for Less Than $100 - 7 Days Only! Haven’t started your blog yet? See how to create your blog in less than 5 minutes! It doesn’t take a ton of money to have a successful blog…here are some tips to start a money-making blog for less than $70 per year. 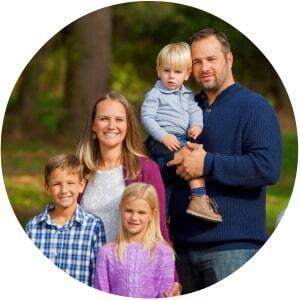 So you decided to take the plunge and start a blog. You now love your job, get to work from home to be with your kids, make your own hours, and potentially make more than you could have ever imagined. Overall blogging has been one of those incredible “pinch me” parts of my life. I can hardly believe I get to do something I love so much, help so many others, earn money from home, and be part of such a special community. But that doesn’t make blogging easy — in fact, sometimes it’s downright hard. For all of your big dreams, maybe you’ve felt frustrated, confused, or stuck at times, trying to figure out how to grow your blog, get more traffic, overcome hurdles, find smart strategies, and earn more money. Truthfully, one of the best ways I know to improve in blogging is to learn from other brilliant bloggers. Don’t you wish you could just call up your favorite bloggers, ask them out for coffee, and soak up the wisdom as they share their most effective tips and tricks? I’ll let you in on a little secret… it’s BYOC (bring your own coffee), but there’s a way to learn from some of the smartest bloggers on the web on ALL the topics that matter for every level of blogger, and all on your own schedule and without leaving your house. 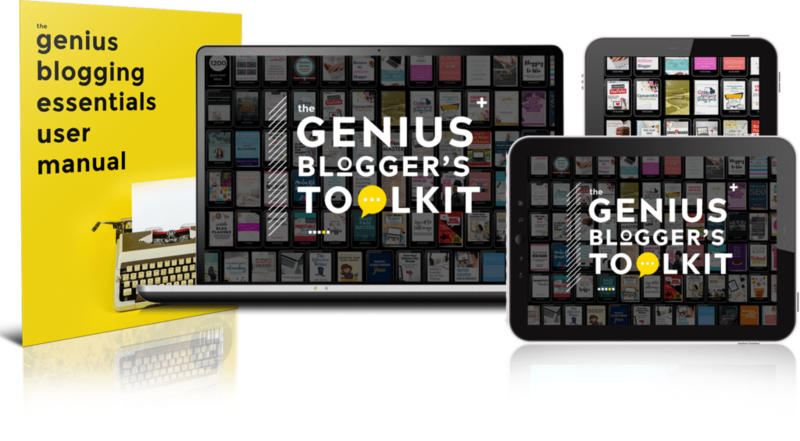 Have you heard about the Genius Blogger’s Toolkit? Get ready to have your mind blown!! It’s a digital package crammed full of brilliant tools to help you grow your blog, work smarter & make more money. A Complete Blogger Education for Less Than $100! The team at Ultimate Bundles has put together the best resources on ALL the topics that matter to bloggers, like mastering social media, monetization, creating and selling products, time management and productivity, growing an email list, and so much more. You’ll get 91 resources, like eBooks, eCourses, templates, and workbooks, so you’ll find everything you need to propel your blog to the next step and far beyond. These resources includes over $5,800 of blogging tips, strategies, tutorials and amazingly practical information and ideas. For real. And that’s not even everything. You can also get free bonus offers worth $1193, with 10 tools and services to help you run your blog better. But the truly amazing part? They’re selling it for a crazy 98% off of regular price! I know, it sounds too good to be true, but I promise it’s not. Ultimate Bundles has been around a long time and creating these packages is really their thing (they’ve sold over 200,000 of them over the years on all sorts of topics), so you can trust this is the real deal. Even better, they’re all about making sure you LOVE the Genius Blogger’s Toolkit – there’s a full 30-day happiness guarantee, so there’s really no risk in trying it out. The most important detail, though, is that this toolkit is available for just 6 days. After Monday night, October 9, 2017, the sale ends and you’d have to buy all of these products individually. opportunities, information, and tips by email. Ready to live a fabulous life without spending a fortune? Join the SBD community! 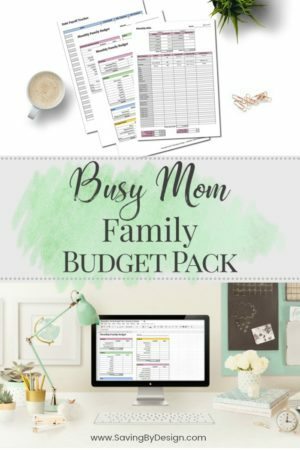 You'll even get a FREE Monthly Bill Tracker to help you get started!